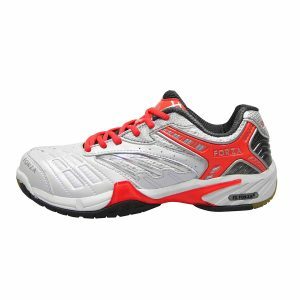 FZ 2600 Ladies/Junior Badminton Shoe. White trimmed with indigo. Recife unisex shirt. Plain black with red trim. Black collar. 88% Polyester, 12% Elastine. Interlock w/dry forze. 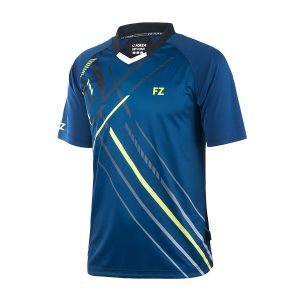 Like a bolt of lightning lit up the sky FZ FORZA brings Lingus V3 back to court. 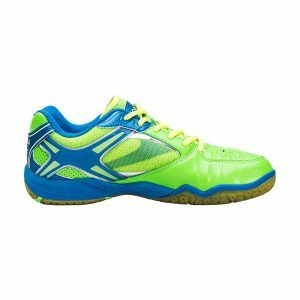 With a new super stylish look and additional stability, protection and durability Lingus V3 offers you effortless movement match after match. Jasmine Green and blue, style and comfort at its best. Definitely a ‘got to have’ pair of shoes. Available in size 36-48. 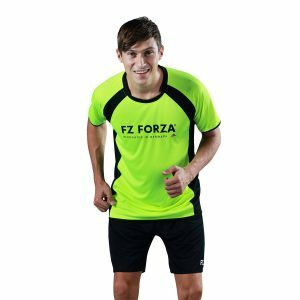 If you can not see your size then contact us and we will do our best to help. Mill Tee Mens shirt. Black with gold edging at neck sleeves and waist. Also available in Safety yellow. 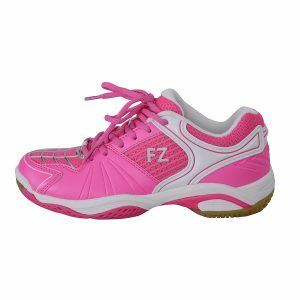 FZ 809 Ladies badminton trainers. White with fuchsia trim. Comfortable shoes, ideal for all types of players. Using FZorb material for shock absorption. Mix polo jr. tee. Surf the web blue, with white trim and black trim around neck. Safety yellow and grey flashes on front. Shaon junior tracksuit jacket. Black with white piping. 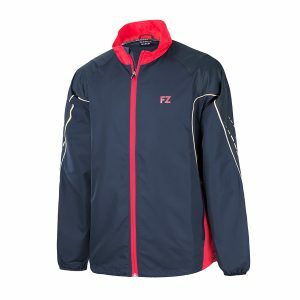 Red trim, full length front zip and red stand up collar. Side pockets with zip. 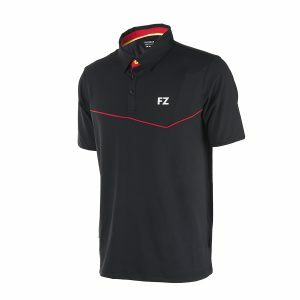 Mix mens polo tee. Surf the web blue, with white trim and black trim around neck. Safety yellow and grey flashes on front. 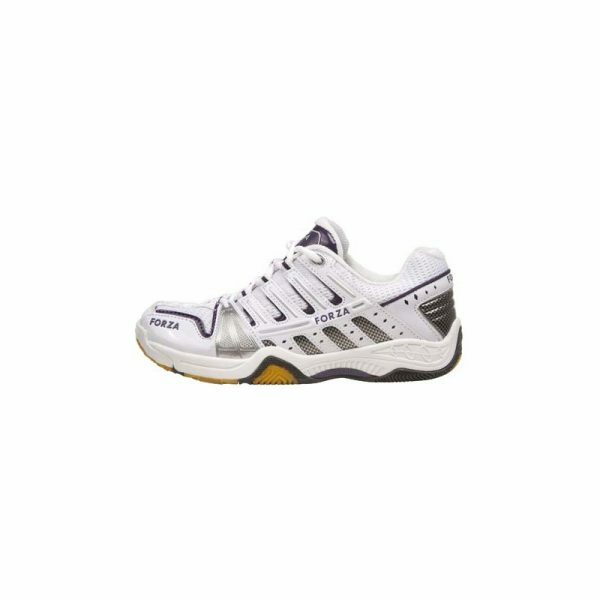 Forza Evolve Ladies badminton trainers. White with Fiery Coral trim. If you can not see your size then contact us and we will do our best to help. 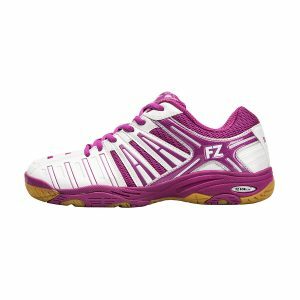 FZ Forza Leander Ladies trainer. Arch support and reinforced sides makes this shoe very stavle and comforavle. Th eshoe is extremely durable thanks to the use of high quality micro fiber PU which means prolonged life for this very good looking shoe. 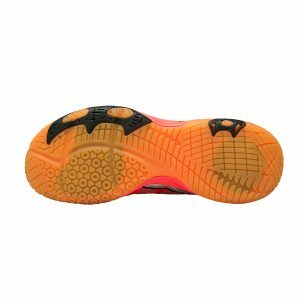 The inside of the shoe has Dura-grip for increased grip at the net. A shoe suitable for anyone who wants a sompetitice shoe at a reasonable price. See the video HERE. 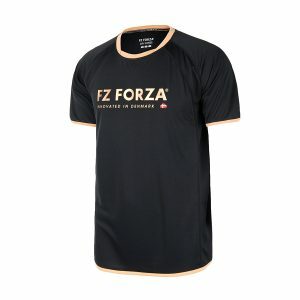 FZ Forza Pro Trainner Woman V2 trainer. 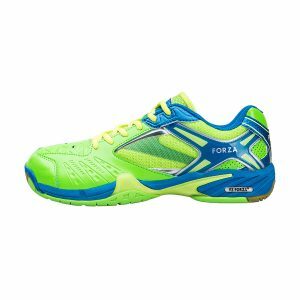 With a built in TPU mid piece, this shoe offers superior stability. The heel is firm and hugs the foot extremely comfortable. The side of the shoe is reinforced for extra stability and the top is made with a unique breathing mesh layer. While this shoe is extremely light it is still very durable thanks to the use of our high quality micro fiber PU upper. which also means prolonged life for the shoe.